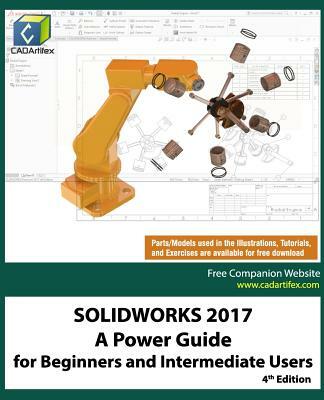 0SOLIDWORKS 2017: A Power Guide for Beginners and Intermediate User textbook is designed for instructor-led courses as well as for self-paced learning. It is intended to help engineers and designers interested in learning SOLIDWORKS for creating 3D mechanical design. It can be a great starting point for new SOLIDWORKS users and a great teaching aid in classroom training. This textbook consists of 14 chapters, total 768 pages covering major environments of SOLIDWORKS: Sketching environment, Part modeling environment, Assembly environment, and Drawing environment, which teach you how to use the SOLIDWORKS mechanical design software to build parametric models and assemblies, and how to make drawings of those parts and assemblies. Moreover, this textbook includes the topic of Configurations.